One of the initial choices any start-up has to make is where to call home. 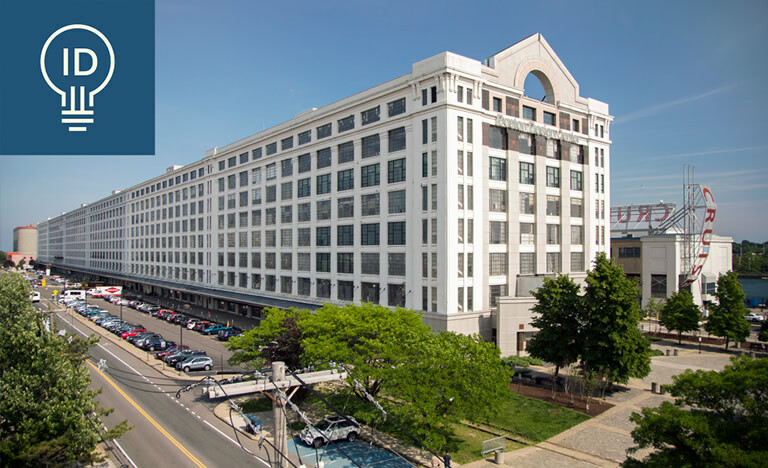 For us, the decision was a no-brainer, and with support from our hard-working broker, Cushman & Wakefield, and helpful landlord, Jamestown, we were able to move into the Innovation and Design Building, located in the Innovation District in Boston’s Seaport area. The 1.4 million square foot Innovation and Design Building, or IDB, houses a diverse mix of companies, ranging from start-ups to more recognized establishments. On the adjacent side of the building is the Boston Design Center, showcasing all the latest in design with artfully crafted showrooms filled with luxury product lines. The complex is truly the definition of where design meets innovation. At TRIA, we understand the importance of combining quality design with innovative ideas. We take pride in the fact that we help science and technology organizations create the places that advance scientific discovery, furthering that innovative spirit.